The post To Be Clear: Do Not Build Your Brand House On Land You Don’t Own appeared first on John Battelle's Search Blog. (image) I took a rigorous walk early this morning, a new habit I’m trying to adopt – today was Day Two. Long walks force a certain meditative awareness. You’re not moving so fast that you miss the world’s details passing by - in fact, you can stop to inspect something that might catch your eye. Today I explored an abandoned log cabin set beside a lake, for example. I’ve sped by that cabin at least a thousand times on my mountain bike, but when you’re walking, discovery is far more of an affordance. Which got me thinking. What makes a stream? In the real world, streams are made from water, terrain, and gravity. To belabor the metaphor to the media business, content is the water, publishers are the terrain, and our thirst for good content is the gravity. Deciding where to lay down roots as a publisher is an existential choice. Continuing the physical metaphor a bit further, it’s the equivalent of deciding what land to buy (or lease). If your intention is to build something permanent and lasting on that land, it’s generally a good idea to *own* the soil beneath your feet. This is why I wrote Put Your Taproot Into the Independent Web two years ago. If you’re going to build something, don’t build on land someone else already owns. You want your own land, your own domain, your own sovereignty. Trouble is, so much of the choice land – the land where all the *people* are – is already owned by someone else: By Google, Facebook, Twitter, LinkedIn, Yahoo, and Apple (in apps, anyway). These platforms are where are the people are, after all. 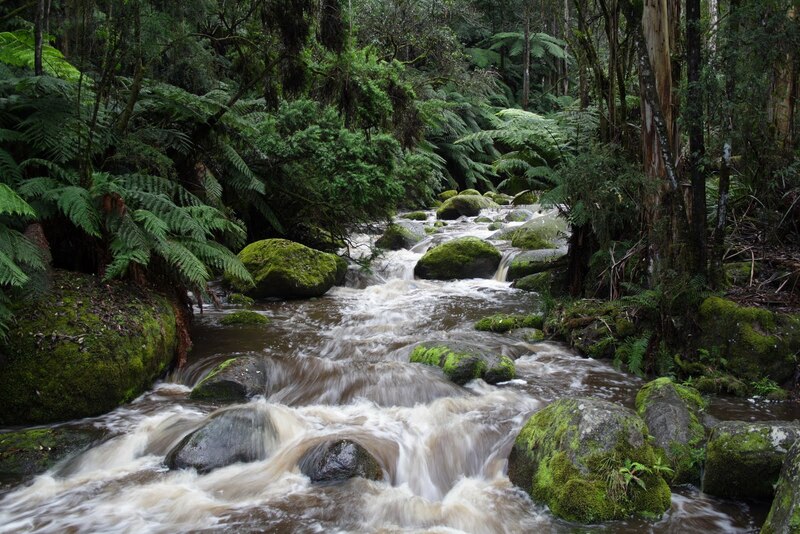 It’s where the headwaters form for most of the powerful streams on the Internet. It’s tempting to build your brand on those lands – but my counsel is simple: Don’t. There’s plenty of land out there on the Rest of The Internet. In fact, there’s as much land as you want, and what you make of it is up to you as a publisher. Quick: Name one successful publisher that built its brand on the back of a social platform? Can’t do it? Neither can I, unless you count sites like UpWorthy. And those flying near the social network sun risk getting seriously burned. There’s a reason publishers don’t build on top of social platforms: publishers are an independent lot, and they naturally understand the value of owning your own domain. Publishers don’t want to be beholden to the shifting sands of inscrutable platform policies. So why on earth would a brand? Despite the fact that my once-revolutionary bromide “all brands are publishers” is now commonplace, most brands still don’t quite understand how to act like a publisher. One point of frustration is Facebook’s ongoing squeezing of traffic to organic brand content. A digital agency exec described a recent meeting with Facebook that turned contentious. In what was meant to be a routine meeting, the exec said the Facebook rep told him the brands the agency works with would now have to pay Facebook for the same amount of reach they once enjoyed automatically. That position and Facebook’s perceived attitude have led to some disillusionment on Madison Avenue, where many bought into the dream peddled by Facebook that brands could set up shop on the platform as “publishers” and amass big audiences on their own…. …The cruel irony in all of this is that brands themselves greatly helped Facebook by giving it free advertising in their TV commercials and sites, urging their customers to “like” the brand — and paying Facebook to pile up likes. Facebook has returned the favor by choking off brands’ access to those communities. That’s one expensive and frustrating lesson that it’s better to own than rent. Yup. You leased your land, Mr. Brand Marketer, and the rent’s going up. If I were you, I’d get back to your own domain. Spend your money building something worthy, then spend to drive people there. Your agencies have entire creative and media departments that are good at just such practices. They might even spend a fair amount carefully purchasing distribution through Facebook’s streams. I’m guessing Facebook will be happy to take your money. But there’s no point in paying them twice.